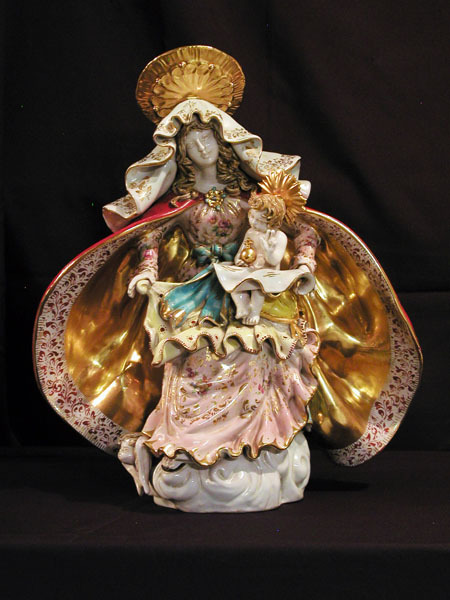 EX-380-SN Seated Madonna and Child in hand-crafted & hand-painted ceramic, 15.5 x 18". Made in Italy. Seated Madonna and Child in hand painted and hand crafted ceramic, 15.5 x 18". Made in Italy. SPECIAL ORDER, 3-4 MONTH DELIVERY.